In today’s film industry, where remakes and adaptations leave little space for original ideas, melodrama continues to be a proven formula in achieving box-office success, and in some instances, critical acclaim. The ingredients are quite simple: two people fall in love and live happily for a short period of time, until an unexpected event devastates their lives (cue excessive reactions and unbearably heighten the tension). Finally, add an emotive soundtrack to the mix, and the result will be enough to make the audience cry their way through a full box of tissues. “The Light Between Oceans,” a co-production between DreamWorks Pictures, Heyday Films, Participant Media, and Reliance Entertainment, has its sights set on this idealized, romantic tear-jerker film. Instead, it leaves a sour taste that makes you wonder what went wrong. 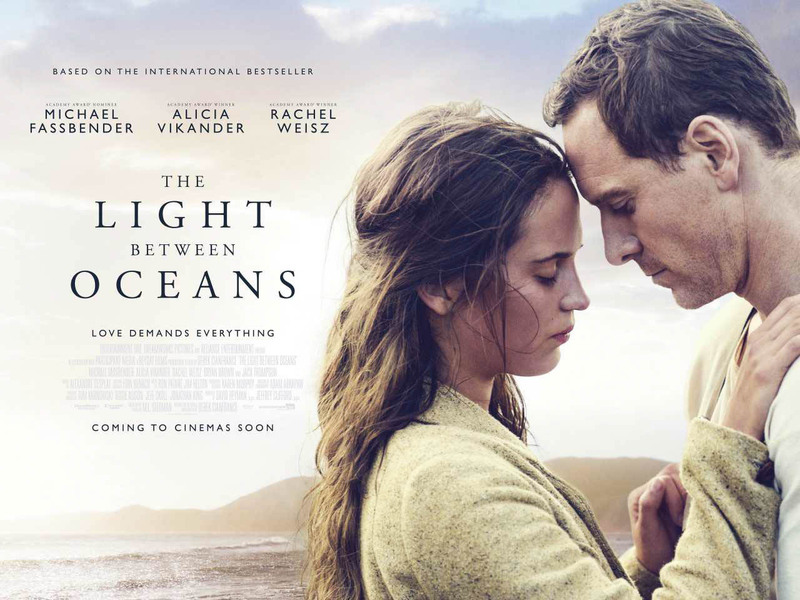 Written and directed by Derek Cianfrance, “The Light Between Oceans” is based on M.L. Stedman’s 2012 novel of the same name. In the early 1920s, World War I veteran Tom Sherbourne (Michael Fassbender) gets hired as a lightkeeper in Janus Rock, Australia. Tom arrives at a nearby town and has a brief encounter with a local woman named Isabel Graysmark (Alicia Vikander), which brings the two to the isolated island, where they start a new family filled with love and tenderness. But when a boat washes ashore with a heavenly gift for the couple, a storm of suffering and trauma starts brewing across the ocean, ready to put an end to Isabel and Tom’s happy ending. Both Vikander and Fassbender bring their best to the team by portraying a loving yet dysfunctional couple. Given Fassbender’s compelling performance in Steve McQueen’s “Shame” and Vikander’s Oscar-winning portrayal of Gerda Wegener in “The Danish Girl,” the pairing is a match made in heaven. Despite a lukewarm script that doesn’t give the cast much to work with, Vikander and Fassbender develop a non-verbal vocabulary that allows them to communicate physically with each other, and to the audience, more than the dialogue ever does. When Tom and Isabel meet for the first time, they have an instant connection, an uncanny moment of confession for both. Isabel needs rescue from her mundane life, and Tom is searching for a reason to live after surviving war against all odds. It is not love at first sight by any means, but a seemingly safe shortcut to the happiness they seek beyond the ocean. While the movie begins on a strong note, it soon forgets its purpose. It is with the arrival of Hannah Roennfeldt (Rachel Weisz) that the delicacy of Tom and Isabel’s relationship begins to fade away. No matter how subtle or intricate, Weisz navigates through her character’s shifting emotional state, unable to fit within the vocabulary mastered before her introduction. Even worse, the narrative shifts its focus to Hannah and her unnecessary backstory, while Tom and Isabel are pushed aside. Ultimately, “The Light Between Oceans” overstays its welcome and reluctantly puts an end to its rapid decline. There is always an immense satisfaction in experiencing a score by Alexandre Desplat, which is in full harmony with every other element of storytelling, yet is fully capable of standing on its own and leading the narrative. Desplat’s art is a major part of the powerful collaboration between sound, score, and cinematography that is evident in the first half of the movie. The sound of waves crashing on rocks and the wind howling on top of the lighthouse mixes with Desplat’s emotive and stimulating score, merging with the astonishing landscape of Janus Rock and the limitless ocean. Unsurprisingly, the second half of the movie does not give much of a chance for this collaboration to potentially compensate for the plot’s shortcomings. “The Light Between Oceans” neither demands to be regarded as an art house film, nor requires its audience to view it from a specific lens. It takes a chance at combining an oddly familiar case of melodrama with high regard to its audio-visual standards. The trailer gives away far too much, to the extent that the story becomes inherently predictable. While the movie was expected to generate moderate success by following in the steps of last year’s dramas in “The Danish Girl” and “Carol,” a flock of negative reviews before the movie’s premiere may have played an irrefutable role on the movie’s disastrous box-office performance. Additionally, this year is rounding up to be packed with stellar performances, which makes it even less likely for either Fassbender or Vikander to receive nods for their work. Hopefully, the undeniable chemistry between the ill-fated couple and their powerful performances should be enough for you to give this movie a chance. After all, perhaps the title is an allusion to what the movie suffers: two oceans in the dark, each momentarily illuminated by the passing of a lighthouse beacon, before plunging back into darkness until the next passing.